The Nymph-IT tying thread has fast become one of my favourite tying materials. It’s replaced things like pheasant tails in my normal tying regime – the colours are fantastic and can be incorporating into almost any fly you can think of. The chestnut brown jig pictured above has been a favoruite of mine for years, and now has been updated with this versatile material. 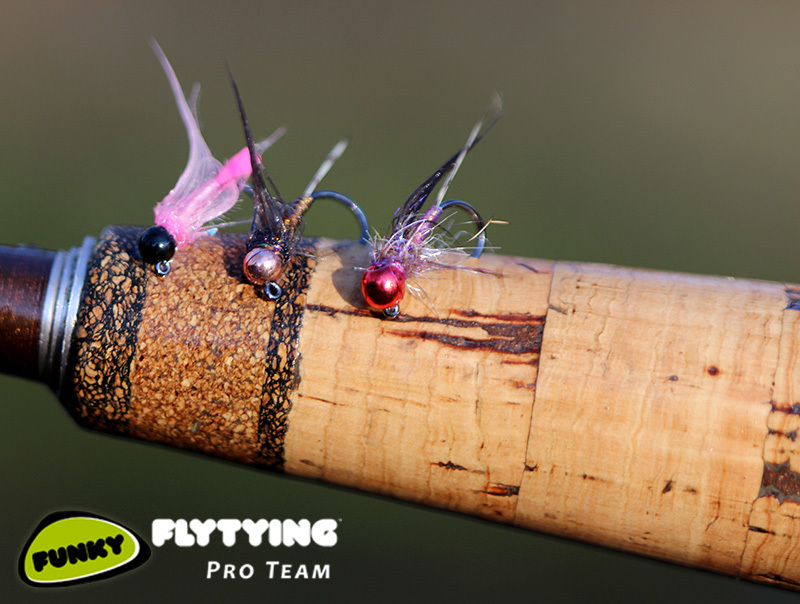 The pink and red jigs were both favoured by the chalkstream grayling, however, the UV pink went somewhat dull when wet, so the addition of a mirage underbody soon sorted that out and started to take plenty of grayling in faster runs.